I knew there was a reason I liked that cat so much! ….now can she teach mine to knit? Then again -maybe mine _can_ knit, and that’s the reason I have so many started (and uncompleted) projects. And also no needles. That is one talented cat! That explains why the cat hangs around even if she does get forgotten some of the time. Also reminds me of a piece of art I have called Knittens – yes, kittens with knitted patterns on their backs. 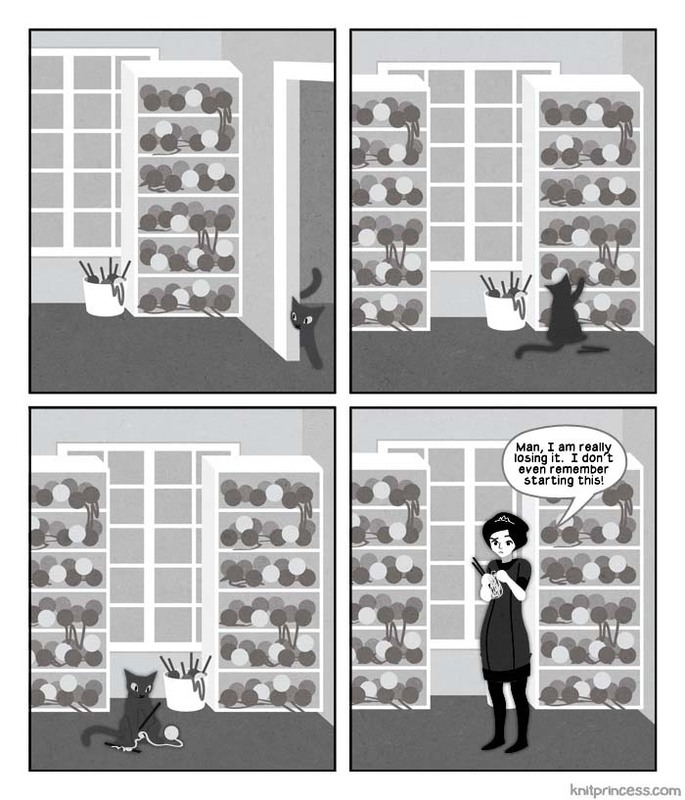 Of all of the styles this comic has had, I love the personality they put into the cat. Does the cat even have a name, though? Lisa – I have that as a shirt. First time I wore it to my knitting group everyone freaked out over how cute it is!